The Hampton Inn Jackson-Pearl-International Airport hotel is located off I-20 Exit 48 /Pearson Road/ next to Shoney*s. We are within 5 miles from downtown Pearl Mississippi and many major corporate offices. Attractions in the Jackson/Pearl area include Planet Rock Tinsletown Theater the Museum of Art and shopping malls. The Agri and Forestry Museum is 7 miles south of the hotel featuring an historic working farm. Hampton Inn guests can dine at Frisco Deli Penn*s Fish House Waffle House or Ryan*s Steakhouse all within mile of the hotel. The Hampton Inn Jackson-Pearl-International Airport hotel features 64 rooms including suites with whirlpools business center exercise gym and outdoor pool. It is our pleasure to provide shuttle service to the airport for our Hampton Inn hotel guests. 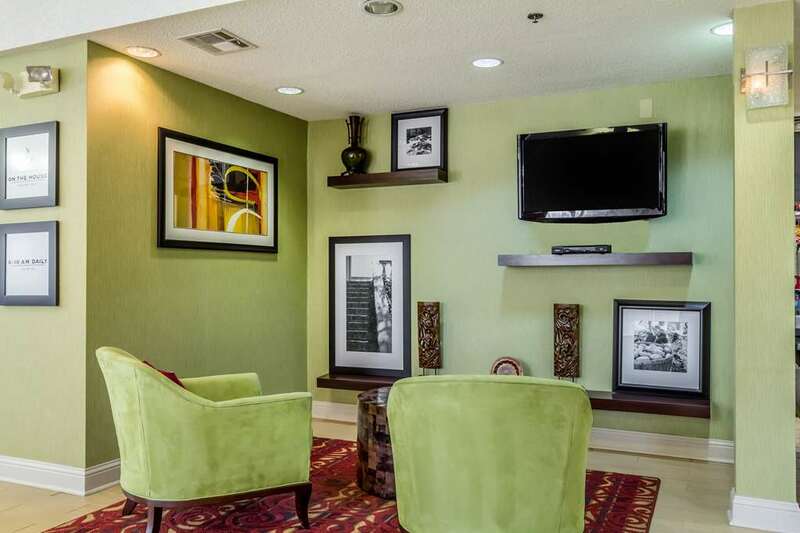 Whether traveling to Mississippi on business or pleasure Hampton Inn hotel guests enjoy amenities which include complimentary continental breakfast and newspaper in-room coffeemaker and TV with cable. We also offer connecting rooms cribs express checkout safe deposit boxes hair dryers and irons. Guest laundromat meeting/banquet facilities audio/visual equipment rollaway beds secretarial service and honeymoon suites are available for a nominal fee. We love having you here at the Hampton Inn Jackson-Pearl-International Airport hotel in Mississippi. Ryan*s Steakhouse: buffet style dining all day everyday.